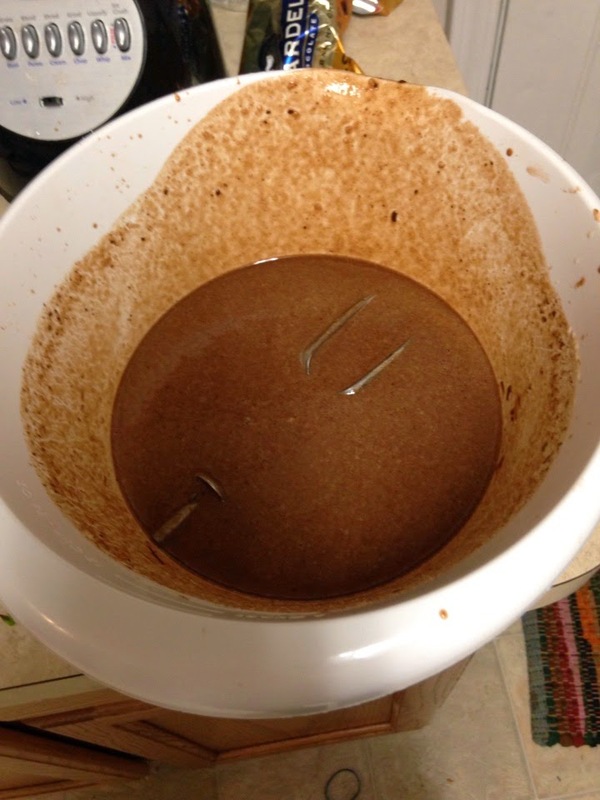 Katy's Kitchen: Guinness Chocolate Cream Pie......Fail. Happy Pi Day. Unfortunately I'm coming at you with my first recipe fail out of my 10 Recipes 10 Weeks series. 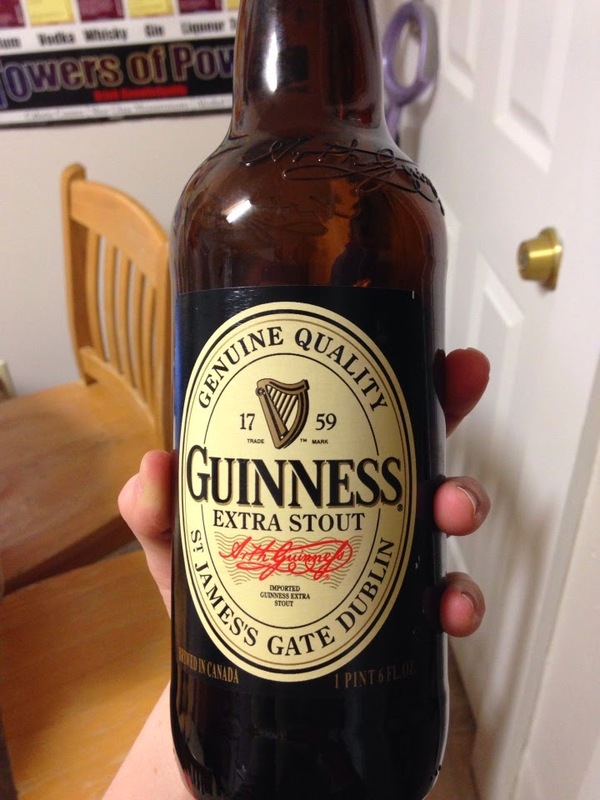 I was very excited about this one because it involved beer, chocolate and pie for a St. Patrick's Day treat. This was also my first attempt at a pie. Because of such utter failure with this cream pie, next time I will try a baked fruit pie. 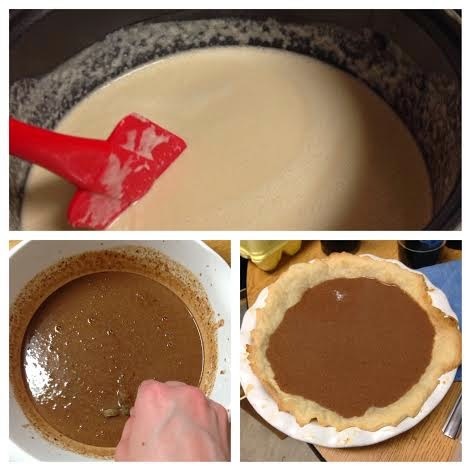 I'm going to walk you through my pie-making process and I would love any feedback as to what went wrong. I used this recipe. I have this lovely pie plate from Crate and Barrel and I felt like it helped make my pie quite pretty (top right). 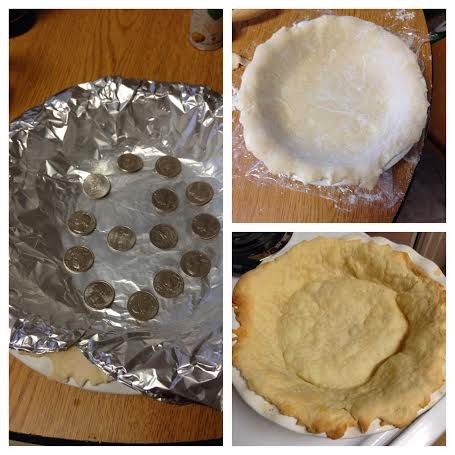 I didn't have pie weights or beans so I used foil and coins after freezing the pie for a half an hour. What came out of the oven was the beginning of the monster (bottom right). I made sure to take my time on the custard and follow the directions (top). My only guess is that I didn't let it thicken enough before adding it to the chocolate (bottom left). I then poured the filling into the crust and put it in the fridge (bottom right). The recipe said it takes 4 hours to set, but I left it overnight and nothing had changed. Because of my crust fail, I couldn't fill up the entire pie. I had a ton of filling leftover! I ended up putting it in bowls hoping it would set. It also did not set, but I did try it this morning and it is DELICIOUS. I am disappointed that this recipe didn't work, but with all the St. Patrick's Day festivities going on on campus I will be consuming enough calories as it is. Happy Pi Day and Happy St. Patrick's Day. Update: I commented on the recipe on Food 52 and this is the response I got: "I'm so sorry to hear your filling didn't turn out! I'm guessing the custard wasn't cooked long enough. The good news is, however, that you might be able to fix it. Try baking the pie in a low oven--try 300 degrees--to see if the filling will set after additional cooking (you can always tent the crust with foil to prevent over-browning). Best of luck! I hope this helps. It really is a phenomenal pie if you can get it to turn out. Let me know if you have any more questions. I'm happy to help."